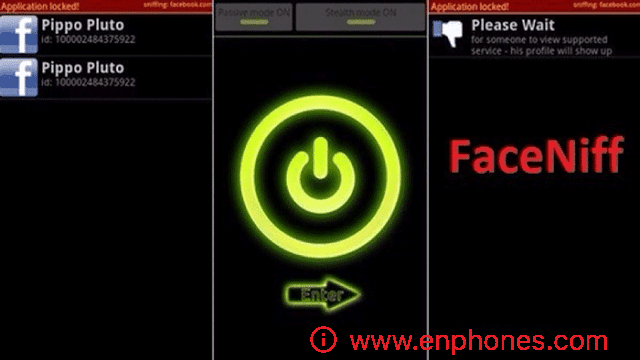 FaceNiff is a small android apk tool for hackers or newbies to sniff and intercept web session profiles (like facebook, twitter..) over the WiFi connection. it will monitor all network traffic over the WiFi Connection, then it will capture unencrypted session cookies from the websites and allow you to enter victims account as her. First, if you are looking for a way to use faceniff without root, it's not possible, all hacking apps need root access to work. If you want to hack into a Facebook account which is using the same WiFi network, you can use FaceNiff app. it's not possible right now, because Facebook has made SSL encryption mandatory to all connections (https://). One of the famous site that faceniff can sniff it, i found vk.com, because is running on http and can use FaceNiff to steal session cookies. Filter the session ID cookies. Your android phone must be rooted. Download Faceniff apk android application from link bellow. How to use faceniff on android? First of all, make sure you are connected to a WiFi network and you have a target on the same network that have clients. 1. Download and install FaceNiff application. 2. Open it from your apps menu. 3. Grant root access to it. 5. Tap on "Offline" button to make it "Online". Then tap on the "START". 6. FaceNiff will display the unencrypted sessions on this network. 7. Tap on the sessions displayed and use the stock browser to access the webpage. That All! you have the victims web account logged before, but not forget, if the victim logged out from the account, you will also be logged out automatically.